Reported by Ms. Guita Hourani, Director of LERC. 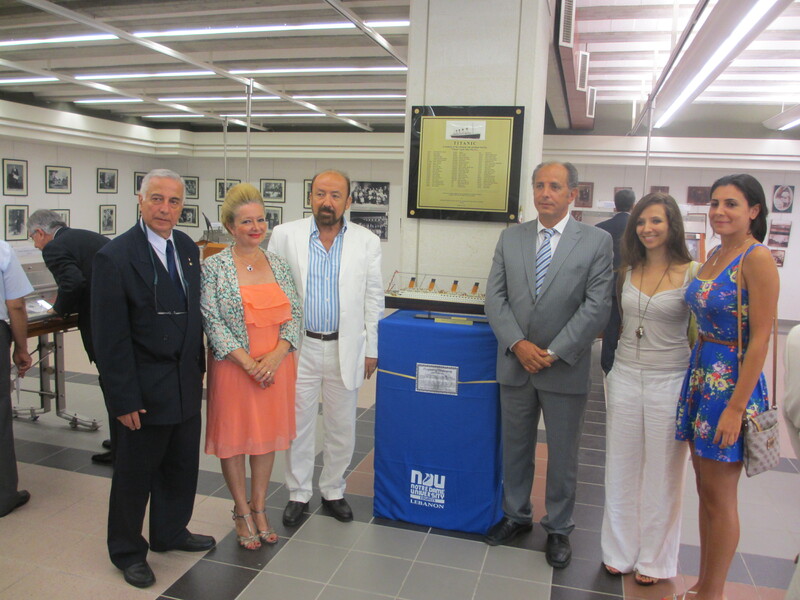 The Lebanon and Migration Nucleus Museum at Notre Dame University-Louaize (NDU), Lebanon, unveiled an authentic scale replica of the Titanic, which sank in the North Atlantic Ocean on 15 April 1912 after colliding with an iceberg during its maiden voyage, and a memorial plaque, listing the names of the Lebanese who perished in the tragedy. Also present at the event were Mr. Joe Abi-Saab, the grandson of the late Joe Elias Abi-Saab who lost his life on the Titanic; Mr. Camille Lewis, Secretary-General of the Lebanese-Canadian Society in British Colombia, Canada; Mr. Antoine Menassa, President of the Lebanese Businessmen Association in France; Dr. Antoine Khoury Harb; Dr. Assaad Eid, Vice-President of Sponsored Research and Development at NDU; Ms. Guita Hourani, Director of the Lebanese Emigration Research Center (LERC) at NDU; Mr. Roberto Khatlab, LERC’s Liaison Officer for Latin America; guests from Canada and Ireland, and the LERC staff.